The competitive world has shaped itself into one big global market, where variety, multiplicity, and diversity have become a certain trend. Recognition is the only formula for survival. Businesses, products, and services today greatly depend on the wisely selected domain name that ensures an online identity and immense marketing potential. This tool can help you find an available domain for your business name based on just two keywords. Search for a great domain name, using word combiner, similar words finder and domain availability check on BustAName. Save your domains for review, change the word order to create interesting new domains and combine upto three words. 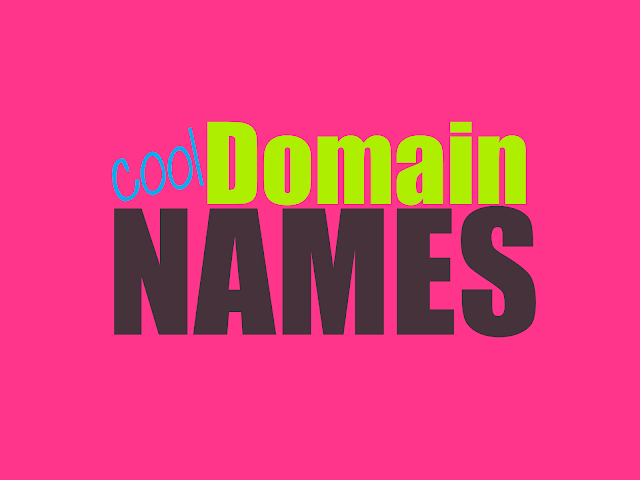 Other fascinating features include creating groups of words to domain names. You can also use hyphens, plurals or drop the last vowel if you wish. Even before searching for the unregistered domain names and reflecting the results, “Impossibility” takes your keyword and combines it with a prudently selected list of nouns, verbs, and adjectives, to make it a great user-friendly experience. It uses mutiple servers to make the search quite swift and prompt. NameBoy is an interesting domain name generator and database, that allows you to do your keyword search with either one or two words, letting you use hyphens and rhyming words. Easy to operate, you can generate a list of potential domain names, available to purchase by just entering the words that describe your desired domain name. As a swift, intuitive and user-friendly domain name generator, Domain Typer offers a fine user experience. Just enter your domain keywords and it will instantly reflect the availability of the desired domain. Not just that, it also generates a random domain name for you to choose from. Domain Typer is a simple and easy to operate tool that enables smooth search and perfect results to your search criteria. Speaking of speed and security, Domize offers search domain names in an encrypted environment, simultaneously looking whether your desired domain name has been registered earlier, is due to expire or can be purchased. Results appear as soon as you start typing. Instant, reliable, and secure, this tool is a great user experience. With multiple interesting criteria, Wordoid is a wholesome domain name generator. It creates made up words that are unique and appear nice to the user's eyes and ears. Every word is no longer than 10 letters, and you can choose from up to five languages. You can create a unique linguistic blend and fusion by mix and match languages. Not just that, you can change the quality level from low to high; higher the quality, closer the words to the natural words of the selected languages. A tool which is also available as an iOS app, Dot-o-Mator offers expanded suggestions in creating the domain name. You can select a list of words (colors and shapes for example) for the beginning and the end of the domain. When you see a name of your choice, you can combine the two and get the result, which can be moved to the scratch-box to find the availability status of your chosen name. Since 2004, DomainsBot has been in business and is successfully catering to its customers. It takes your ideas and turns them into names. Additionally, it provides the available domain suggestions, alerts you of expired, expiring and 'for sale' domains and offers a Whois search as well. Not just that, it also caters corresponding Twitter and Facebook identity suggestions. You can use their iPhone app to find great domains too. NameTumbler suggests domain names by mixing your desired keyword with the word from its database. This enables you to choose an appropriate keyword placement (at the beginning or the end of the domain). It also lets you use hyphens to separate the suggested terms, view the results and select your extension. NameStall is a power packed domain name generating tool which provides a combo of various sub tools including a domain name generator that uses your preferred keywords and simultaneously prefixes and suffixes from more than 180-word groups. Other than that, the domain name suggestion tool facilitates a combination of two or three words; also, the brand-able names in five different domain categories. Enter a prefix and suffix of your choice to your desired keyword, combine both and simply check the availability status of the domain name in SuggestName. This well equipped tool lets you choose from tech terms, list of colors, trending Web 2.0 words and more to create your perfect domain name and makes your experience worthwhile. You can move the resulting words to the scratch-board. Later if you wish, then you can clear your selection of check their availability search. Namestation allows you to mix the keyword lists, add suffixes, produce phonetics, alliterative names and much more. You can promptly check for the alternative name variations and get keyword suggestions, find definitions and semantically linked words for more inspiration. It offers refining your search criteria to generate a more appropriate and targeted domain name. Bulktopia makes your domain name search not only complete but substantial by offering suggestions based on your keywords, as well as research domains based on age, expiration status, page rank, backlinks and social media account availability. When you choose the suggested domain name, it lets you click on the purchase and buy through a variety of domain registrars. An interesting tool to make your search precise and wise. Domainhole makes your domain ideas wholesome with its following functions: Expired Search: provides up to date database of expired domain names; Name Spinner: combines your keyword with hundreds of words to generate great ideas for domain names; Name Generator: produces random, unique, speakable and brand-able domain names; Brainstormer: suggests innovative ideas for fresh domain names. Cool Name Ideas is a really useful website to generate a business name, blog name, product names and app names. Nxdom is a synergistic search engine that has expertise in suggesting short domain names. The database comprises of millions of DNS results for the unused and the expired domain names. You can modify your search by prefixing and suffixing words, sort the results by using its various criteria of length, readability, and popularity. Domain business name generators today are of substantial help to those looking for the most suitable names for their brands to facilitate the great online recognition. Get instant results empowered by various advanced filters such as prefixes, suffixes, expiration status, brainstormers and language-based list of words, and make your domain name perfect in every way. Article Updated on July 2018 - Added more tools and fiixed broken links.